Pharmacy 2016 organizing eminent Pharmaceutical conferences welcomes you to attend the International Pharmacy conference to be held during July 14-15, 2016 in Philadelphia, USA focuses on the advancements in pharmacy and Quality risk management. Pharmacy Forecast predicts important developments in eight domains that are likely to challenge pharmacy practice leaders in hospitals and health systems. Its purpose is to improve the effectiveness of leaders in hospital and health-system Pharmacy practice by helping them plan for the future. Pharmacy forecast reports the results of a survey of trend watchers in health-system pharmacy, analyses predicted trends and presents more than 40 authoritative, actionable strategic recommendations to pharmacy practice leaders. 2nd International Conference on Industrial Pharmacy April 24-25, 2017 Frankfurt, Germany, Pharma Marketing Conference November 17-19, 2016 Alicante, Spain; Pharmaceutical Regulatory Affairs and IPR Conference September 12-14, 2016 San Antonio, USA; Biologics and Biosimilar Conference September 12-14, 2016 San Antonio, USA: Academy of Managed Care Pharmacy, American Association of Colleges of Pharmacy, American Association of Pharmacy Technicians, American Society for Clinical Pharmacology and Therapeutics , American Society of Consultant Pharmacists , American Society of Pharmacognosy, Austrian Association of Hospital Pharmacists. Prepares medications by reviewing and interpreting physician orders detecting therapeutic incompatibilities. 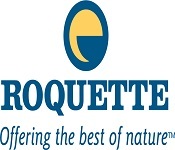 Dispenses medications by compounding, packaging, and labelling pharmaceuticals. Controls medications by monitoring Drug therapies advising interventions. Completes pharmacy operational requirements by organizing and directing technicians' work flow verifying their preparation and labelling of pharmaceuticals verifying order entries, charges, and inspections. Provides Pharmacological information by answering questions and requests of health care professionals; counselling patients on drug therapies. Indo-Global Summit & Expo on Veterinary October 26-28, 2015 Hyderabad, India; Annual European Pharma Congress June 18-20, 2016 Berlin, Germany; Annual Congress on Pharma Middle East October 10-12, 2016, Dubai, UAE; World Pharma Congress November 7-9 Las Vegas, USA; Academy of Managed Care Pharmacy, American Association of Colleges of Pharmacy, American Association of Pharmacy Technicians, American Society for Clinical Pharmacology and Therapeutics , American Society of Consultant Pharmacists , American Society of Pharmacognosy, Austrian Association of Hospital Pharmacists. Pharmacy is the science and technique of preparing and dispensing drugs. It is a health profession that links health sciences with chemical sciences and aims to ensure the safe and effective use of Pharmaceutical drug. 3rd International Conference on Clinical Pharmacy, Dec 07-09, 2015 Atlanta, USA; 5th Annual European Pharma Congress, Jun 13-15, 2016 Berlin, Germany; 2nd International Conference on Clinical Trials, Aug 22-24, 2016 Philadelphia, USA; Academy of Managed Care Pharmacy, American Association of Colleges of Pharmacy, American Association of Pharmacy Technicians, American Society for Clinical Pharmacology and Therapeutics , American Society of Consultant Pharmacists , American Society of Pharmacognosy, Austrian Association of Hospital Pharmacists. The innovative Pharmaceutical industry in the United States produces chemically-derived drugs developed as a result of extensive R&D and Clinical trials in both humans and animals. The innovator relies on patents and other forms of intellectual property rights to justify the investment required to bring a product to market (the U.S. patent term is 20 years). The pharmaceutical industry is heavily dependent on the development of new molecules to replace the revenue stream of older drugs that have come to the expiration of their patent terms. Several large multinationals produce the majority of innovative pharmaceuticals globally, but they have come to rely more heavily on research performed by industry partners, including smaller, innovative manufacturers. Pricing of innovative pharmaceuticals is designed to recapture R&D expenditures. Industrial Pharmacy Conference UAE, April 28-29, 2016, Dubai; Expo on Generic Drug Market and Contract Manufacturing Oct 31- Nov 02, 2016 Valencia, Spain Expo on Drug Discovery & Designing Oct 31-Nov 02, 2016 Istanbul, Turkey; Pharmaceutics and Novel Drug Delivery Systems March 13-15, 2016 London UK; Academy of Managed Care Pharmacy, American Association of Colleges of Pharmacy, American Association of Pharmacy Technicians, American Society for Clinical Pharmacology and Therapeutics , American Society of Consultant Pharmacists , American Society of Pharmacognosy, Austrian Association of Hospital Pharmacists. The Companies relate to regulatory issues in Pharmaceutical manufacturing. Explore chemical and biotech process technology and equipment, dosage forms, finishing systems, facility engineering, and health, safety, and environment concepts. Study Regulatory and legal considerations. Learn how to ensure that methods, facilities and controls meet industry requirements for safety, effectiveness, identity, strength, quality and purity. Drug manufacturing is the process of industrial-scale synthesis of pharmaceutical drugs by Pharmaceutical companies. The process of drug manufacturing can be broken down into a series of unit operations, such as milling, granulation, coating, tablet pressing etc. 3rd International Conference on Clinical Pharmacy, Dec 07-09, 2015 Atlanta, USA; 7th 5th Annual European Pharm Congress, Jun 13-15, 2016 Berlin, Germany; 2nd International Conference on Clinical Trials, Aug 22-24, 2016 Philadelphia, USA; Academy of Managed Care Pharmacy, American Association of Colleges of Pharmacy, American Association of Pharmacy Technicians, American Society for Clinical Pharmacology and Therapeutics , American Society of Consultant Pharmacists , American Society of Pharmacognosy, Austrian Association of Hospital Pharmacists. 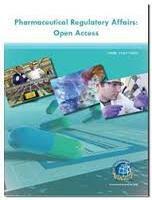 Pharmaceutical Regulatory Affairs and IPR Conference September 12-14, 2016 San Antonio, USA; Biologics and Biosimilar Conference September 12-14, 2016 San Antonio, USA: 2nd International Conference on Industrial Pharmacy April 24-25, 2017 Frankfurt, Germany, Pharma Marketing Conference November 17-19, 2016 Alicante, Spain; Academy of Managed Care Pharmacy, American Association of Colleges of Pharmacy, American Association of Pharmacy Technicians, American Society for Clinical Pharmacology and Therapeutics , American Society of Consultant Pharmacists , American Society of Pharmacognosy, Austrian Association of Hospital Pharmacists. A Clinical trial is a research study conducted to investigate new treatments such as a new drug compound in human volunteers or research participants. Each clinical trial is designed to learn about a potential treatment and its effect on humans. Before a new treatment is tried in human, extensive laboratory testing are done to identify promising compounds and Toxicological (safety) tests conducted to determine possible risks. The treatment with the most promising results is then moved into clinical trials. The results of clinical trials can make a difference in the care of patients by providing information about the benefits and risks of new therapeutic, preventative, or diagnostic products or interventions. Clinical trials also can contribute invaluable information about the benefits and safety of existing Drug therapies, providing doctors and patients with reliable information for choosing between alternative treatments. Indo-Global Summit & Expo on Veterinary October 26-28, 2015 Hyderabad, India; 5th Annual European Pharma Congress June 18-20, 2016 Berlin, Germany; 8th Annual Congress on Pharma Middle East October 10-12, 2016, Dubai, UAE; World Pharma Congress November 7-9 Las Vegas, USA; Academy of Managed Care Pharmacy, American Association of Colleges of Pharmacy, American Association of Pharmacy Technicians, American Society for Clinical Pharmacology and Therapeutics , American Society of Consultant Pharmacists , American Society of Pharmacognosy, Austrian Association of Hospital Pharmacists. Regulatory Affairs is a profession within regulated industries namely-pharmaceuticals, Medical devices, energy and banking. It has specific meaning within healthcare industries namely- pharmaceuticals, medical devices, biologics and functional foods. Regulatory Affairs in the pharma industry may be defined as "The interface between the pharmaceutical company and the regulatory agencies across the world." Regulatory agency in the present context may be defined as "The competent government agency which is responsible for ensuring that medicines work and are acceptably safe." Advances in HPLC and Chromatography Techniques , March 17-18, 2016, London, UK ; Asia Pacific Drug Formulation & Bioavailability Congress, June 06-08, 2016, Beijing, China; Therapeutic Drug Monitoring and Toxic genomics , June 09-10, 2016, Dallas, USA; Drug Discovery and Designing, October 24-26, 2016, Istanbul, Turkey, Academy of Managed Care Pharmacy, American Association of Colleges of Pharmacy, American Association of Pharmacy Technicians, American Society for Clinical Pharmacology and Therapeutics , American Society of Consultant Pharmacists , American Society of Pharmacognosy, Austrian Association of Hospital Pharmacists. The Current Marketing practices in the Pharmaceutical sector, examining both consumer and doctor oriented promotion. It presents examples of marketing practices and their impact on consumer and doctor behaviour. It identifies negative impact of these practices which include misleading advertising, disease shove and escalating costs. It goes on to argue the need for an independently monitored code of practice for marketers in the pharmaceutical sector and a great degree of consumer education for both end users and those Prescribing drugs. Pharma Middle East 2016, October 12-14, Dubai UAE; Pharm Marketing Conference November 17-19, 2016 Alicante, Spain; Expo on Generic Drug Market and Contract Manufacturing Oct 31- Nov 02, 2016 Valencia, Spain, Indo-Global Summit & Expo on Veterinary October 26-28, 2015 Hyderabad, India; 5th Annual European Pharma Congress June 18-20, 2016 Berlin, Germany; Annual Congress on Pharma Middle East October 10-12, 2016, Dubai, UAE; World Pharma Congress November 7-9 Las Vegas, USA; Academy of Managed Care Pharmacy, American Association of Colleges of Pharmacy, American Association of Pharmacy Technicians, American Society for Clinical Pharmacology and Therapeutics , American Society of Consultant Pharmacists , American Society of Pharmacognosy, Austrian Association of Hospital Pharmacists. Entrepreneurs are usually viewed as individuals who take consequential risks to go out and start new companies, but most pharmacists go to work for existence that are already established, such as a community pharmacy or hospital. Such positions are generally considered safe, as they promise a steady pay check and continued employment. For that reason, entrepreneurship is not commonly listed among a pharmacist’s skillsets. Pharmacists need to view themselves as entrepreneurs and examine their individual careers as start-up companies. Pharma Middle East 2016, October 12-14, Dubai UAE; Pharm Marketing Conference November 17-19, 2016 Alicante, Spain; Expo on Generic Drug Market and Contract Manufacturing Oct 31- Nov 02, 2016 Valencia, Spain, 2nd International Conference on Industrial Pharmacy April 24-25, 2017 Frankfurt, Germany, Academy of Managed Care Pharmacy, American Association of Colleges of Pharmacy, American Association of Pharmacy Technicians, American Society for Clinical Pharmacology and Therapeutics , American Society of Consultant Pharmacists , American Society of Pharmacognosy, Austrian Association of Hospital Pharmacists. Drug development is the process of bringing a new pharmaceutical drug to the market once a lead compound has been identified through the process of Drug discovery. It includes pre-clinical research on microorganisms and animals, clinical trials on humans, and may include the step of obtaining regulatory approval to market the drug. Conference on Pharmaceutics & Novel Drug Delivery Systems, Madrid, Spain, 07 March 2016- 09 March 2016, 2nd International Conference on Industrial Pharmacy April 24-25, 2017 Frankfurt, Germany, Pharma Marketing Conference November 17-19, 2016 Alicante, Spain; Academy of Managed Care Pharmacy, American Association of Colleges of Pharmacy, American Association of Pharmacy Technicians, American Society for Clinical Pharmacology and Therapeutics , American Society of Consultant Pharmacists , American Society of Pharmacognosy, Austrian Association of Hospital Pharmacists. Pharmaceutical Analysis is an Analytical Method used to determination the quality and quantity of the pharmaceutical products. It also gives the information about the Purity and Safety of the products. Briefly it can be described as it identifies, determines, quantifies, purifies and separates the active compound from the mixture. 3rd International Conference on Clinical Pharmacy, Dec 07-09, 2015 Atlanta, USA; 5th Annual European Pharm Congress, Jun 13-15, 2016 Berlin, Germany; 2nd International Conference on Clinical Trials, Aug 22-24, 2016 Philadelphia, USA; Academy of Managed Care Pharmacy, American Association of Colleges of Pharmacy, American Association of Pharmacy Technicians, American Society for Clinical Pharmacology and Therapeutics , American Society of Consultant Pharmacists , American Society of Pharmacognosy, Austrian Association of Hospital Pharmacists. On behalf of International Pharmacy Conference 2016, organizing committee invites analytical expertise researchers, professors, scientific communities, delegates, students, business professionals and executives to attend the “International pharmacy Conference” which is to be held during July 14-15, 2016 Philadelphia, USA. OMICS international organises 1000+ global events every year across the globe with support from 1000+ more scientific societies and publishes 700 open access journals which contain over 50000 eminent personalities , reputed scientists as editorial board members. As Pharmaceutical care moves to a more patient centred model it becomes extremely important to ensure an adequate and professional pharmacy practice. Pharmacists, in one hand, need to ensure maximum use of their skills by embarking on a culture of lifelong learning. On the other hand, it becomes evident that all members of the healthcare system need to co-operate to ensure planning, implementation and monitoring of a therapeutic plan that focuses on effective patient outcome. International pharmacy conference reinforces the importance of collaboration and dialogue between Policy Makers, Stakeholders, Regulators and Pharmaceutical experts. Summary: Pharmacy 2016 welcomes attendees, presenters, and exhibitors from all over the world to Philadelphia, USA. We are delighted to invite you all to attend and register for the “International Pharmacy Conference- 2016” which is going to be held during July 14-15, 2016 at Philadelphia, USA. The organizing committee is gearing up for an exciting and informative conference program including plenary lectures, symposia, workshops on a variety of topics, poster presentations and various programs for participants from all over the world. We invite you to join us at the International Pharmacy Conference 2016, where you will be sure to have a meaningful experience with scholars from around the world. All the members of International Pharmacy Conference 2016 organizing committee look forward to meet you at Philadelphia, USA. Importance and scope: With the development of specific and potent synthetic drugs, the emphasis of the pharmacist’s responsibility has moved substantially towards the utilization of scientific knowledge in the proper use of modern medicines and the protection of the public against dangers that are inherent in their use. Pharmacists are employed in regulatory control and drug management, community pharmacy, hospital pharmacy, the pharmaceutical industry, academic activities, training of other health workers, and research. In all these fields, their aim is to ensure optimum drug therapy, both by contributing to the preparation, supply and control of medicines and associated products, and by providing information and advice to those who prescribe or use pharmaceutical products. Why Philadelphia USA: Greater Philadelphia is home to some of the top names in biotechnology and pharmaceutical companies. These leading firms in the region play an important role in growing and sustaining the local innovation pipeline. And, with a growing healthcare industry sector, an increasing academic technology transfer and world-class colleges and universities with strong R&D programs, Greater Philadelphia’s presence in pharmaceuticals remains one of the strongest in the world. According to the 2009 Milken Study, the growth of Greater Philadelphia’s life sciences cluster is primarily the result of its position as a major centre for the U.S. pharmaceutical industry and its strong local research infrastructure, which includes some of the nation’s top-ranked universities. Philadelphia, Pennsylvania is one of the largest cities defined as a hub for biomedical and pharmaceutical firms. Local economies have seen rapid growth in health, research, and education sectors and relatively low unemployment rates in recent years in comparison to other cities of the same demographics. As home to the Academy and College of Philadelphia founded by Benjamin Franklin as the first medical school during 1749, Philadelphia has a longstanding legacy as a leader in medical and pharmaceutical industries. The city’s extensive medical system also features the University of Pennsylvania’s largest teaching hospital with affiliations based in the Temple University School of Medicine, Drexel University College of Medicine, Thomas Jefferson University, and the Philadelphia College of Osteopathic Medicine. Philadelphia also supports numerous pharmaceutical organizations like GlaxoSmith Kline, Wyeth, Merck, Johnson and Johnson as well as numerous professional medical association headquarters. What does the future hold for manufacturers and sellers of generic medicines? show you leading companies prospects to 2025. That study lets you discover results, trends, opportunities and revenue forecasts, helping you stay ahead in knowledge. 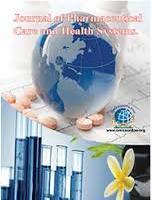 For leading producers and marketers of generic drugs, you find information on established and rising companies. Explore their sales potentials in the generics market, seeing from 2015 to 2025 the prospects of industry leaders. What revenues are possible? In our study you find analytical profiles of top generics producers. By region you analyse historical data, activities, revenue forecasts and growth rates. Discover qualitative analysis too. Our new analysis shows you the most lucrative parts of the world industry for generic drugs. See today how you can benefit your research, analyses, decisions, proposals and presentations, also saving time and benefiting your reputation for insight. 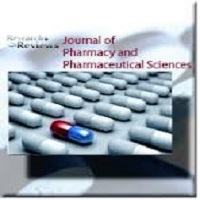 • Forecasting of generic drug revenues to 2025 (for 19 leading companies). Discover capabilities, progress and prospects of top generics companies, grouped by region, helping you stay ahead in commercial knowledge and influence. Our study explains the changing generics industry from 2015 to 2025, including opportunities. For the top 50 generic drug manufacturers in 2014, discover revenues and rankings. Also see top companies’ gross profit margins, EBITDA margins and historical revenue growth. In that analysis you find where revenue growth occurs and how high sales can go. Many opportunities remain, with high, expanding revenues possible from 2015. On behalf of the Organizing Committee I have the great pleasure to extend my warm welcome to all distinguished guests from all over the world to the International Pharmacy Conference (Pharmacy 2016). This conference, being held July 14-15, 2016 Philadelphia, Pennsylvania, USA is the continuation of a highly successful series of global meetings about Pharmaceutical Sciences which is being organized by Conference series LLC, a renowned and leading organization specialized in launching and managing pharmaceutical conferences throughout the globe. Pharmacy 2016 will be attended by over 300 participants involving academic and industrial scientists, industrial experts and decision-makers. 3 Keynote Speakers and over 50 Plenary Speakers will introduce and discuss cutting edge developments in a large number of areas among them pre-formulation, delivery routes, drug delivery technology including major challenges and relevant physiological considerations, drug targeting, nanopharmaceuticals and diverse applications of nanotechnology in pharmaceutical research and development, drug delivery systems applied to vaccine development, biotherapeutics-drug discovery, smart delivery systems and medical devices, delivery methods for biologics as well as addressing of current global drug policy. We have formed an alliance to harness the potential of an effective multi-constituency membership. Let's capitalize on that. Our theme of the conference “Innovations in Exertions of Pharmacy” aims to sustained long term human health as well as revaluate of investing in the pharmaceutical workforce. Attendees will hear world-class speakers discussing the challenges and opportunities facing the newly developed drug. The business & academic experts who are from home and abroad will give excellent keynote speeches. I am looking forward to a highly interesting and informative meeting, to critical and above all stimulating deliberations and last but not least to getting to know many new colleagues working in a field dear to all of us.